Golf plaques from Awards Trophies Supplier .co.uk. 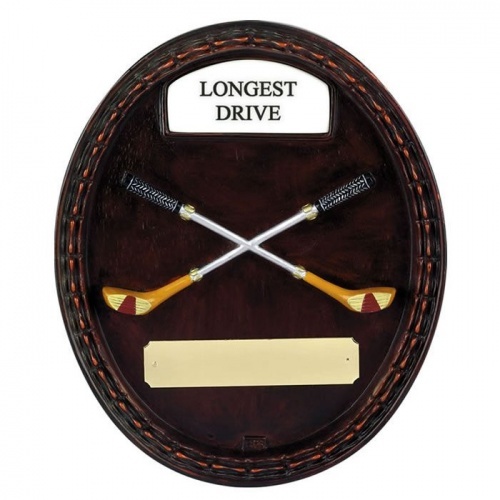 Oval resin wall hanging golf plaques in antique wood effect finish. These 7.5in x 6.5in plaques have a Longest Drive banner and include an engraving plaque.